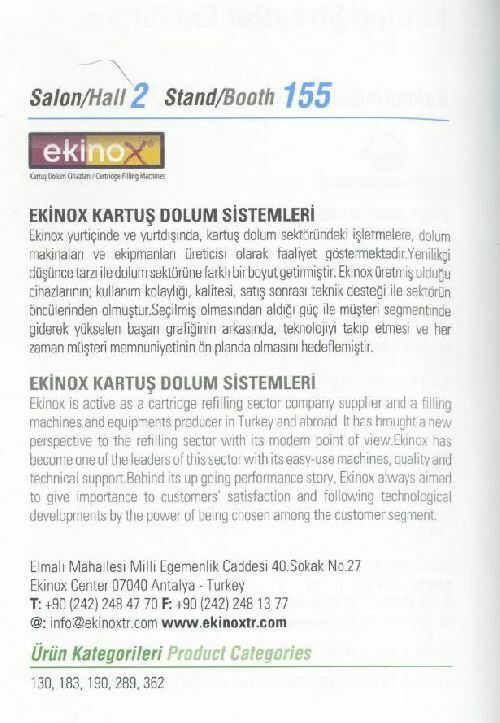 Ekinox is active as a cartridge refilling sector company supplier and a filling machines and equipments producer in Turkey and abroad. It has brought a new perspective to the refilling sector with its modern point of view. Ekinox has become one of the leaders of this sector with its easyuse machines, quality and technical support. Behind its up going performance story, Ekinox always aimed to give importance to customers’ satisfaction and following technological developments by the power of being chosen among the customer segment.